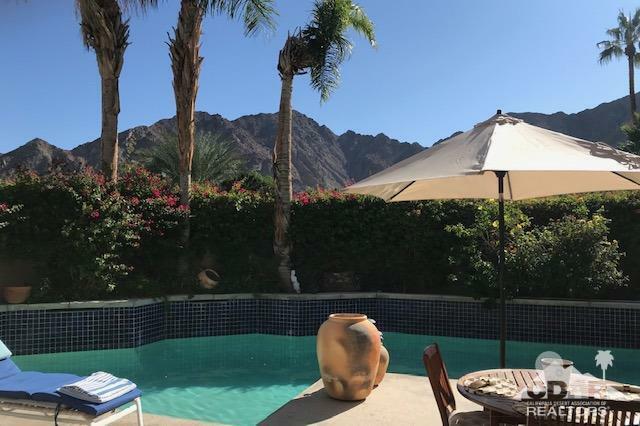 Beautiful 3Bed/5Bath custom home which sits on a corner lot inside the gates of Indian Wells CC. 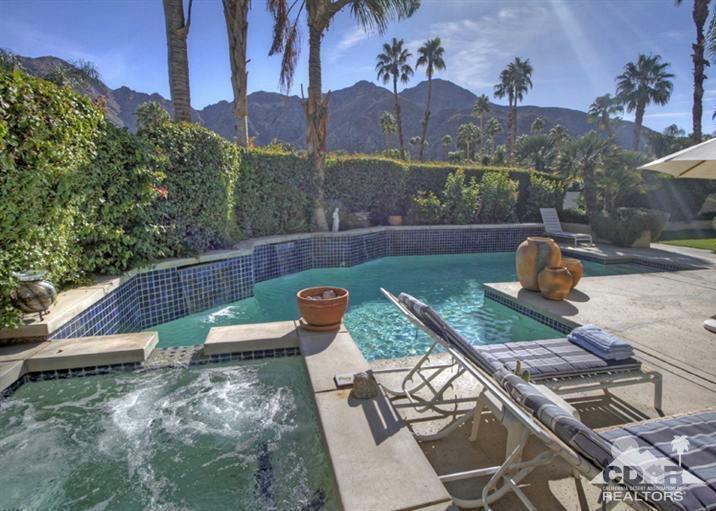 The outdoor living space features Southern mountain view with a pool and spa. The orchard surrounds most of the home and includes citrus trees, fig trees and Thompson seedless grape vines. Upon entering the home you will see high ceilings with incredible outdoor light coming through in all of the rooms.Kitchen features granite counter tops, a large island, breakfast bar and nook! Master suite includes dual vanities, jetted bathtub, fireplace and sitting area. NO HOA! Listing provided courtesy of Colleen Faye Pappas of Berkshire Hathaway Homeservices California Properties.